Hi, Good Morning. Thank you, friends and viewers. 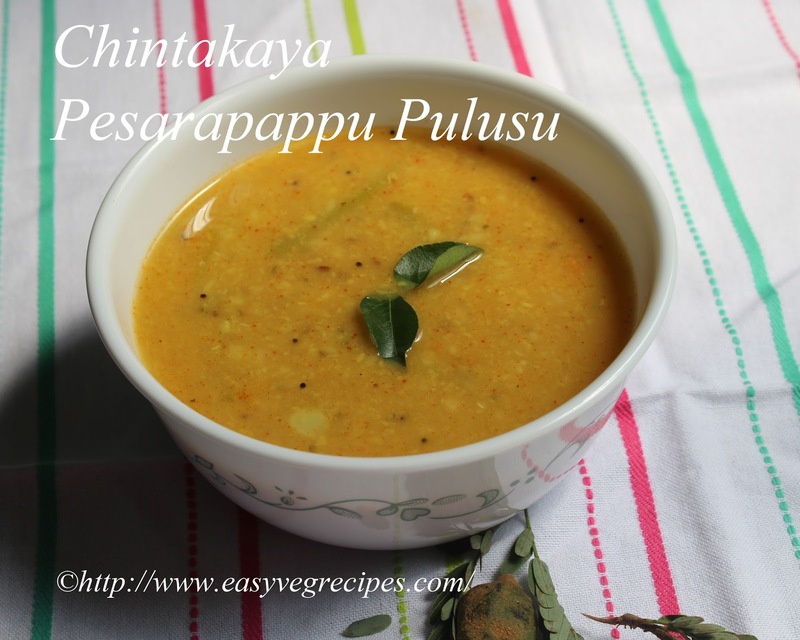 Today I will post how to make chintakaya pesarapappu pulusu recipe. This is made with raw tamarind and split green gram. It is another recipe on no onion and no garlic category. It is from my Mom-in-Law's cook-book. It is her favourite and delicious dish. I love this because it is very simple and easy to make and very soothing. Serve it with hot piping rice. During the month of Karthikam, we follow fasting during day and have food only after the sun sets. Some people follow this for the entire month and some follow it only for Mondays of the month. My mother-in-law used to follow only for Mondays as she was diabetic. Whenever she fast, she prefers to make this pulusu. She used to say that it is very soothing to the stomach and easily digestible. Can't understand the logic behind it, but I too like it very much. We get tender to half ripen raw tamarind during this season. I like the fresh sourness of them. 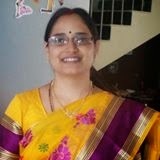 We can make chutney and chintakaya pulusu which is made without any dal with them. This we can call it as chintakaya pappu also. For making pulusu or pappu first we need to boil them separately and squeeze juice out it. When I had chintakaya pulusu for the first time in my in-laws place, I searched for tamarind pieces in it. In the process of searching for them, I mixed it upside down. My mother-in-law got a doubt why I was doing like that, so she asked what am I doing?? I told her that I want tamarind pieces, with a smirk on her face and told me that it was made into juice and you don't get them. 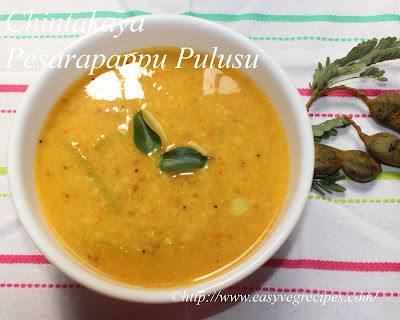 Chintakaya Pesarapappu Pulusu -- Soothing accompaniment for hot piping rice. Pressure cook green gram for two to three whistles. Once cooled mash it with a ladle. Boil raw tamarind till they become smooth. Let it cool. Squeeze out the juice and throw away the waste. Add green chillies, mashed green gram, salt and turmeric powder. Allow this to come to rolling boiling. Add asafoetida, curry leaves and cumin seeds. Allow this to boil for a while. Switch off the stove. Heat oil in a kadai, add mustard seeds and red chilli. Add this tadka to the above pulusu. Serve Chintakaya Pesarappu pulusu with hot piping rice.